It is targeted at swimmers who have achieved the basic fundamental movement skills which allow them to be competent and confident in the water and are at a stage where they are ready to learn a more advanced range of skills. In these stages, the swimmers will develop Aquatic skills ready for the swimming club environment. Complete a set lasting 400 metres (e.g. 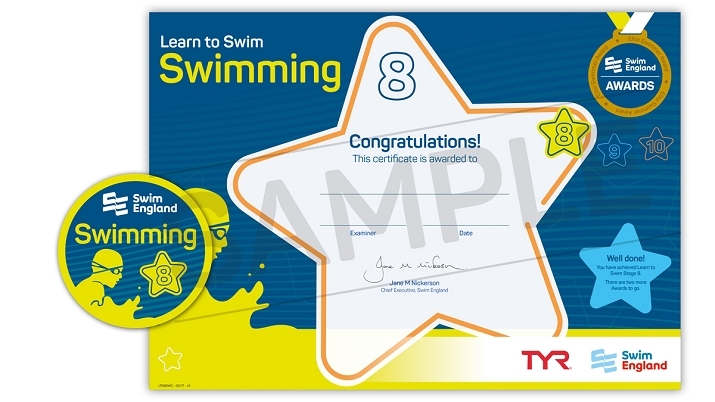 16 x 25 metres, 8 x 50 metres, 4 x 100 metres) on a specific turnaround time agreed by the teacher or coach (e.g. 1.00 minutes for each 25 metres) with a focus on stroke technique and consistency. Swim 400 metres continuously using one stroke. Push and streamline then kick 25 metres backstroke with or without using a board. Push and streamline then kick 25 metres breaststroke with or without using a board. Push and streamline then kick 25 metres butterfly without using a board. Push and streamline then kick 25 metres front crawl with or without using a board. Perform a backstroke turn from 10 metres in to 15 metres out. Perform a breaststroke turn from 10 metres in to 15 metres out. Perform a butterfly turn from 10 metres in to 15 metres out. Perform a front crawl turn from 10 metres in to 15 metres out. Perform a dive track or grab start, and kick butterfly underwater in a streamlined position for 5 metres with the focus on progressing it to 10 metres. Swim a continuous 100 metre individual medley (4 x 25 metres) using recognised turns with a focus on stroke technique and consistency. 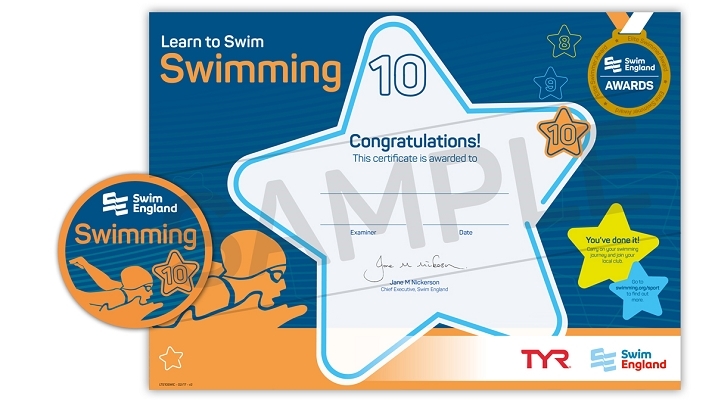 Swim a continuous 200 metre individual medley (4 x 50 metres) using recognised turns.